The heavy 1995 hit Go Rest High On That Mountain not only gave an emotional ballad to the inevitable experience of death, but also stood as a monumental moment in singer Vince Gills career in light of numerous awards the song had secured him. With such a powerful message and emotional charge, Gill was asked to perform his hit at the heartbreaking funeral of country music legend George Jones. Gill became so emotional during this performance that he struggled even to finish the song on guitar alone. For those of you not too familiar with the song, that brief run down alone should showcase to you just how powerful this melody is. However, a song is only as influential as its singer, making this hit a risk to cover. Fortunately, it seems to have been done justice by a trio of lovely ladies. Leading with vocals, a musically gifted mother sings her heart out with each emotional lyric as her daughters accompany her with their flawless and precise instrumentals. 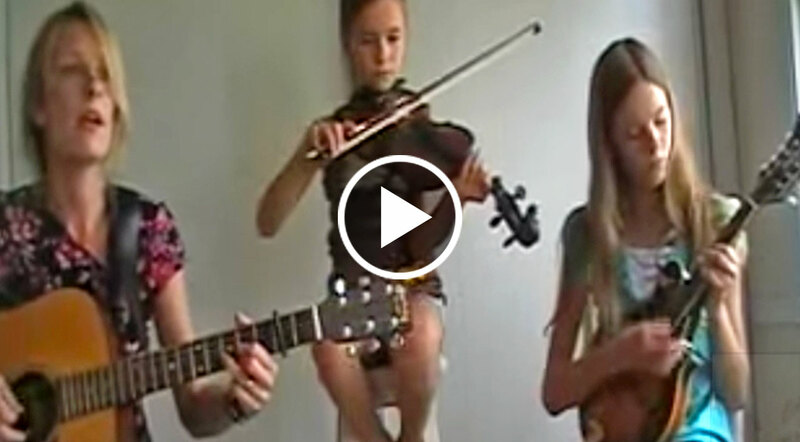 Gracing a mandolin and violin, these two girls give their mother a wonderful tune to work with. As we watch this incredibly talented woman incorporate her guitar playing abilities into this collaboration, it becomes very apparent as to where these girls received their musical influence. This is a performance you must see to appreciate! Watch the clip below and tell us what you think!